Find out why this year’s December astrology is so powerful and how you can make the most of this busy month when Anne returns to WGN Radio 720 AM on Sunday, December 13. 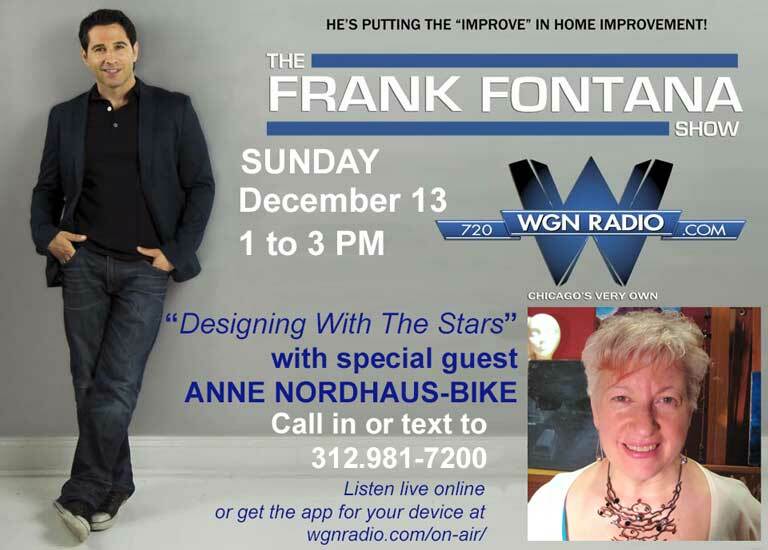 Join Anne that day for her popular “Designing With The Stars” segment, as she visits WGN Radio host Frank Fontana’s top-rated program. Anne and Frank will be talking about several major energies in play with this year’s December astrology. And, as always, they will be taking calls and texts from listeners. The show airs from 1 to 3 p.m. U.S. central time on WGN Radio AM 720, and you can listen on radio in the Chicago area or listen from anywhere in the world online with the live feed. Go to the WGN site for all the listening options: http://wgnradio.com/on-air/. They’ll also discuss the big shift Uranus will make late in the month as well as how to prepare for the next Mercury retrograde that will come in January 2016.